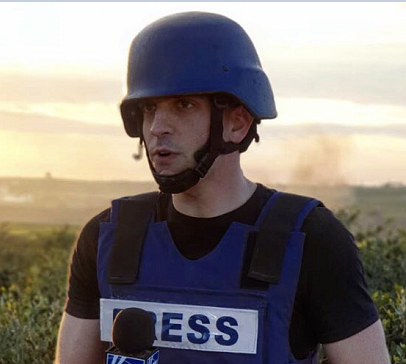 IDF troops asked Fox News foreign correspondent Trey Yingst and his crew to vacate their reporting position on the Gaza-Israel border this morning due to rioters throwing grenades and IEDs in their direction. Yingst and his crew were forced to move while he was in the middle of filing a live report for America’s Newsroom. Yingst joined Fox News as a Jerusalem-based reporter in August 2018 after a stint as White House reporter for the conservative media outlet One America News. Yingst garnered critical acclaim for his tough questioning of Sean Spicer and Sarah Sanders during press briefings over the 18 months he held that gig, something that undoubtedly caught FNC’s attention.